Looking for a lawyer can sometimes be overwhelming; there are so many Personal Injury lawyers in the Central Florida area. However, Samaroo law is one of the few firms that is ran and owned by a woman. Avita Samaroo, has made it her mission to defy all odds and venture out on her own to start her own firm. 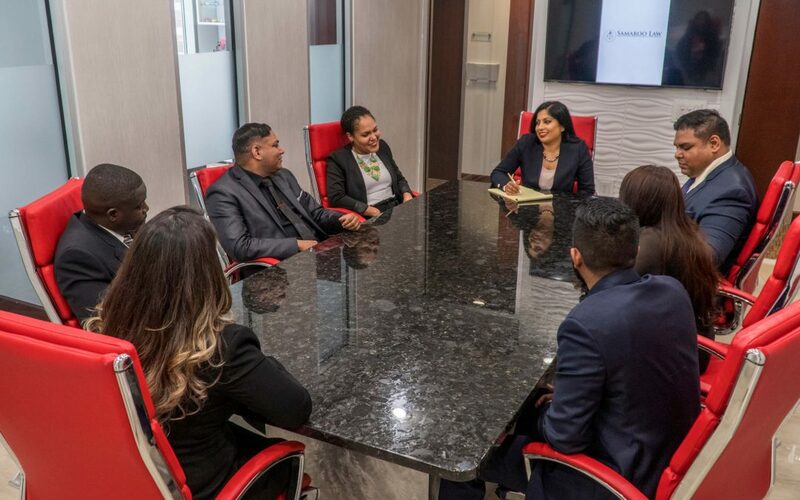 Samaroo Law is a family managed boutique style law firm, everyone at the firm has a unique role they play. Here at Samaroo law, we have a diverse firm that is multilingual. Diversity is celebrated and valued at the firm, our goal is to make sure we can help every individual regardless of their creed, race, color and gender or religon. We have Kathy who is the Case Manager for anything entailing personal injury, Emmily who speaks Portuguese as well as Spanish that is available to answer any questions you might have regarding immigration as a Case Manager. Zarmeenah handles our marketing side of the firm, Jose who also assists with Personal Injury. Adrian manages the ocala office , and last but not least Avita , Bobby and Mike who make it their mission to make the firm a place where you not only seek help but see a family who sincerely cares.